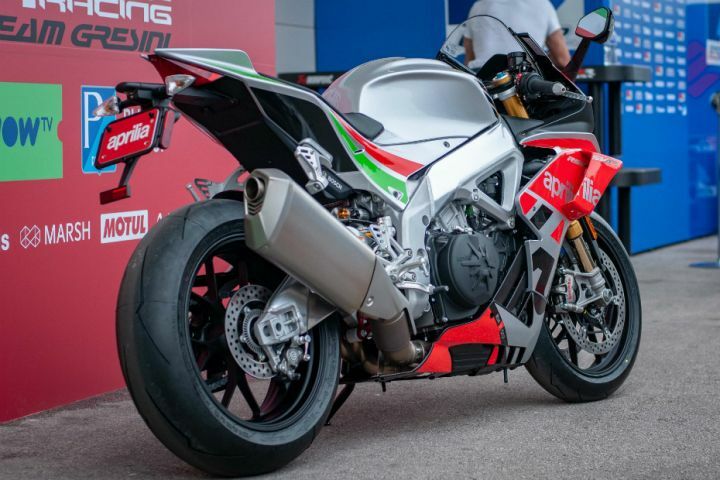 Aprilia, during the third round of the 2018 MotoGP Championship, unveiled a special edition motorcycle based on its flagship RSV4 RF. Called the RSV4 RF LE, the bike is dressed in a livery that pays homage to Aprilia’s first world championship win in 1987. 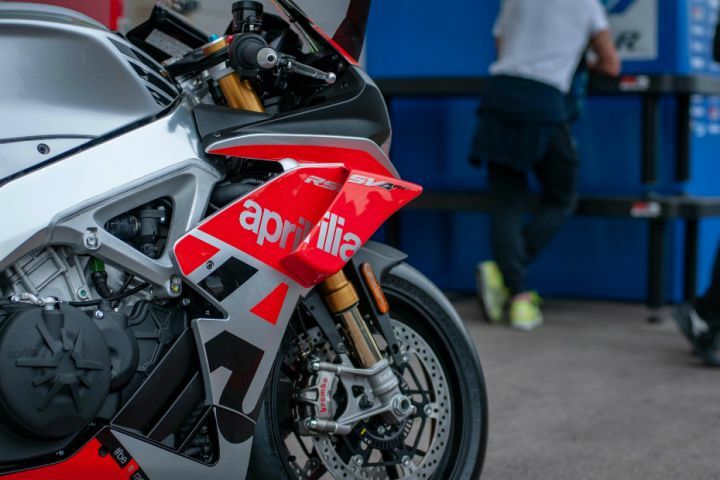 Aprilia have taken a step further and have equipped the RSV4 RF LE with carbon fibre winglets lifted off its Factory Works race bike – making it the only road-legal production bike to get those. 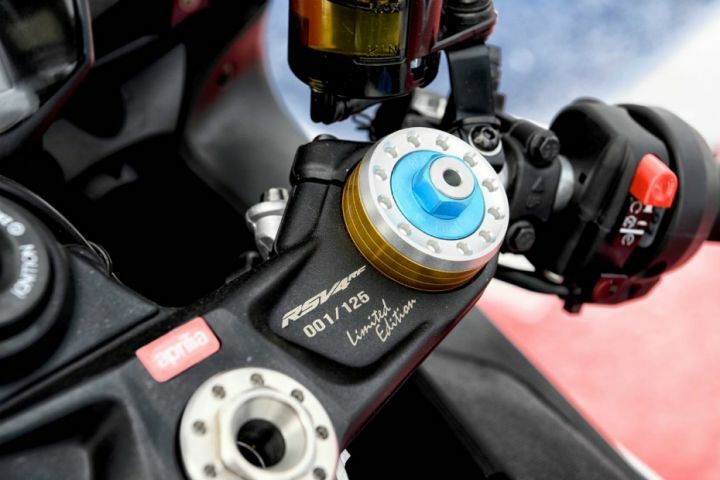 The bike’s production will be limited to 125 units (100 for the US and 25 for Canada) with a plate on the triple clamp indicating the production number. Although winglets are a norm in MotoGP, the Italian brand was quick to point out that the removable winglets on the RSV4 RF LE aren’t meant to be functional. But, hey, we aren’t complaining. Inspired by the Italian Tricolour, the paint job is an interpretation of Loris Reggiani’s 250GP race livery, who, in 1987, gave Aprilia its first race win in a world championship. At the heart of the RSV4 RF LE lies the same brutish 999cc, V4 engine, which produces a maximum power of 203.8PS and 115Nm of torque, mated to a 6-speed transmission. 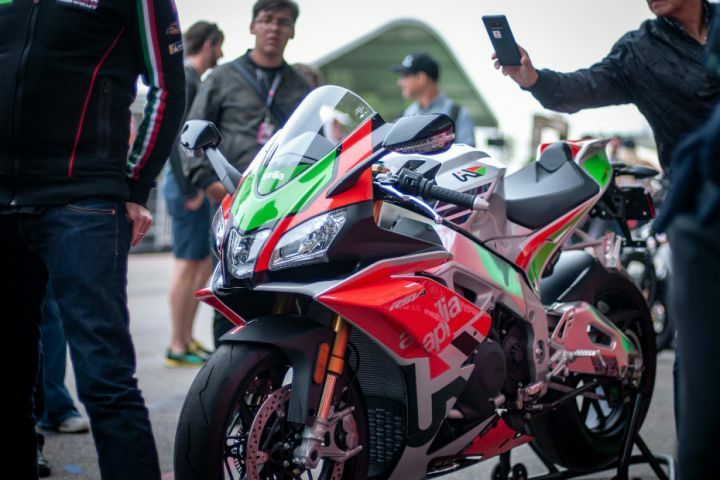 In terms of technology, it features the latest version of Aprilia’s race-developed APRC (Aprilia Performance Ride Control) system. This includes traction control, wheelie control, launch control, quick shift and cruise control. Suspension duties are handled by top-of-the-line Ohlins NIX USD forks at the front and Ohlins TTX monoshock at the rear, with full adjustability. Braking is taken care of by dual 320mm floating discs with Brembo M50 monobloc calipers up front and a twin-piston 220mm rear disc. With a $1,000 premium over the ongoing RSV4 RF, the ‘LE’ is priced at $24,499 USD (Rs 16.29 lakh) and $25,495 CDN (Rs 17 lakh).